Depending on how your website was built, there are 3 different methods to display the SiteLock Seal: via WordPress, HTML coding, or using the Website Builder. For each of these methods, you need to get the code from the SiteLock Dashboard. 1. Go to HostPapa Dashboard >> My Services. 3. Choose the domain where you want to add the seal and click Details. 4. The product information will be displayed. Click on Launch. 5. The SiteLock Dashboard page will open. Click on the Shield icon on your SiteLock Dashboard page, next to the menu icon to deploy SiteLock Trust Seal. 6. Follow steps 1, 2, and 3 to choose language, looks, and the displaying contact info of your seal. 7. Copy the code from step 4 and click on Save Configuration Settings. Now, you just have to choose a method to install your code. 1. 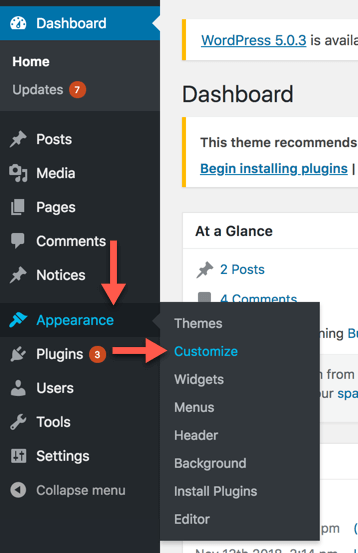 Navigate to your WordPress dashboard. 2. Go to Appearance >> Customize. 3. Click Footer and paste the seal code to the custom footer text area. Click on the Publish button. 1. Go to your HostPapa Dashboard >> My cPanel >> File Manager. 2. Locate your footer template from the files and click on Edit. 3. Click Edit in the pop-up window. 4. Paste the SiteLock Seal code and click on Save Changes. Now, you will be able to see your SiteLock Seal on your website. 1. Go to your HostPapa Dashboard >> My Services. 2. Select Marketing Tools to display all your hosting options. 3. Choose the domain where you want to add the seal and click on Details. 5. Your Sitebuilder page will open. In the edit menu, click on the yellow arrow until you will see HTML. 6. Click on HTML and drag and drop it to the place where you want to see your SiteLock Seal. 7. Paste your seal code in the pop-up window and click Save. 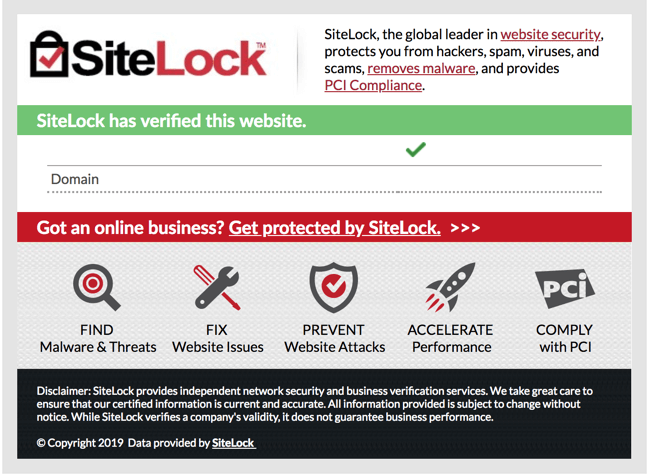 Now you will be able to see the SiteLock Seal on your website.